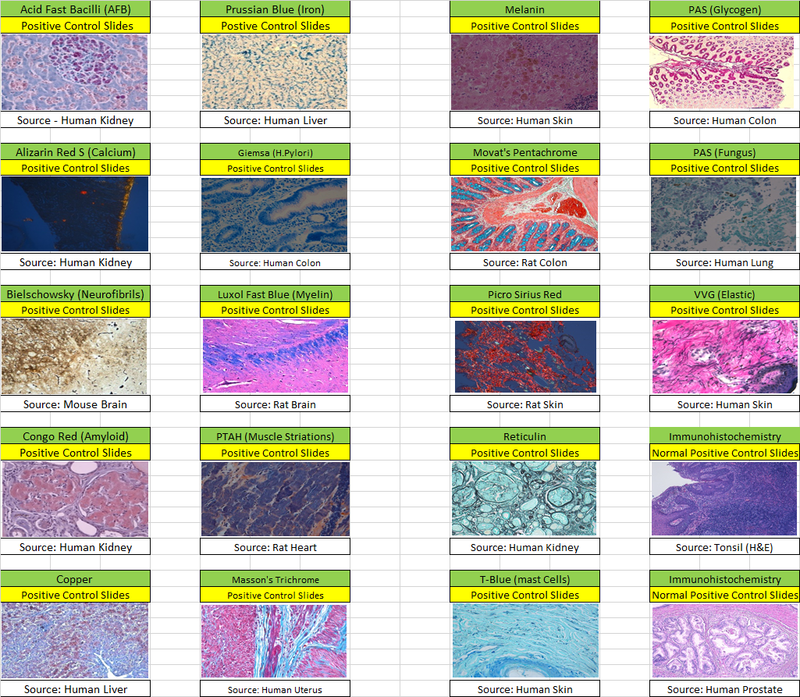 There are many stains out there to histologically stain for calcium but we use primarily 2. They both give different color results and use different chemicals. 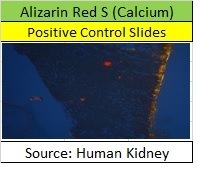 The first is called Alizarin Red S. This stain can be visualized with or without a polarizing microscope. The polarized microscope makes the calcium deposits much brighter (see picture below). As the picture suggests, we also carry positive control slides for this and other calcium stains. We like this one the best because it is a much quicker stain that can be completed in 25 minutes using paraffin slides. The chemicals necessary for the stain are alizarin Red S powder and ammonium hydroxide. You also need a pH meter to get the solution to a pH range of 4.1-4.3. 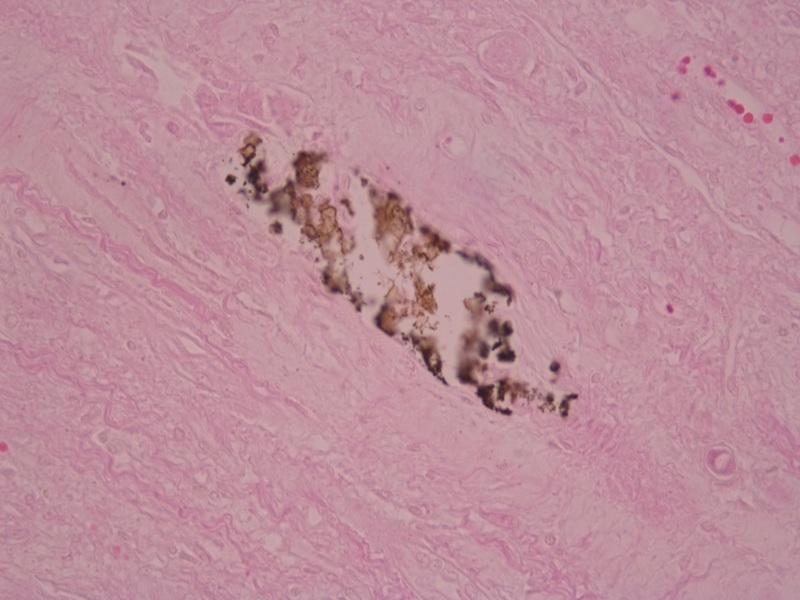 The other stain is Von Kossa‘s method for calcium. This is a much longer stain (1 hour 41 minutes) that uses silver nitrate to turn the calcium salts black. 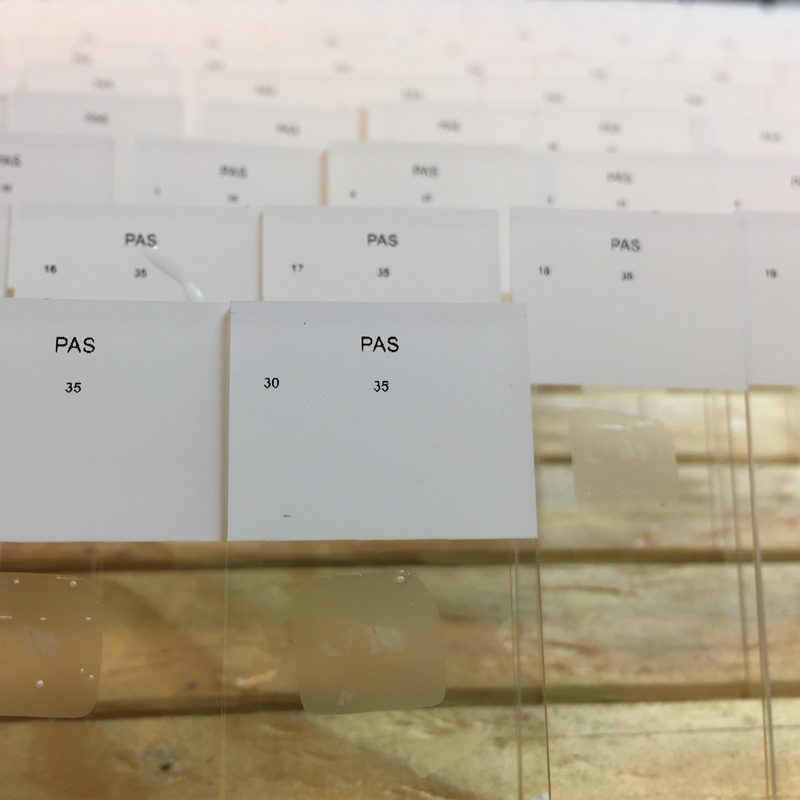 To achieve good results with this stain, the tissue sections must be exposed to direct sunlight, a UV lamp or a 100 watt lamp light while immersed in the silver nitrate. In our opinion this stain is more finicky and easier to foul up than the Alizarin Red stain. Unlike most silver protocols, the glassware in this protocol will not turn black. The Von Kossa solution protocol will be posted on the protocol solutions the day after today. After the stain is complete and the controls tissues have been verified, the toning solution (gold chloride) can be used to clean all glassware. Keep in mind that this solution is very toxic and should be disposed of properly (not down the sink).